PLFC is working alongside the PLF USA to provide an education to an incredible group of kids in the remote northern area of Cambodia. An education will give these children the power and determination to help pull their families and their communities out of poverty. It will help the crucial work of giving their country a future. The cost to house, feed, clothe and educate each student is $800.00 per year. The return on this investment is immeasurable. $800.00 buys a Cambodian child a precious year of education. It keeps them healthy, safe, clothed, housed and fed. 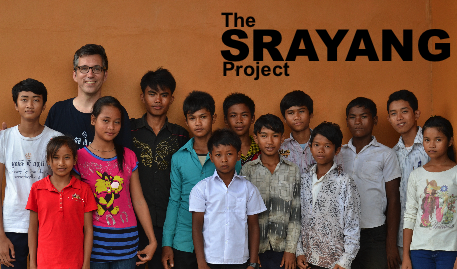 View a student-made video that tells the story of the Srayang Project. These kids are poor – their parents are subsistence farmers in Koh Ker village, in the North. Ponheary Ly, a Cambodian national, is changing their lives — she is giving them a future. Over the last decade Ponheary has helped to give them a primary education. The PLF USA has provided meals, health care, uniforms, shoes, school supplies, bicycles. It has subsidized teachers’ salaries, provided clean water, built a library and improved the school buildings. The results are astonishing – the kids are dedicated, eager and determined to learn. Last year, the student body at Koh Ker academically outperformed every other primary school in the province. Now, the PLF Canada is helping these kids take the next crucial step. They are leaving their homes and families in Koh Ker. They are living in the nearby town of Srayang in a PLF-built house. They will attend lower secondary school (grades 7, 8 and 9). And they need our help. To send one child to school for a full year costs just $800. This amount covers clothing, food, medical care, school supplies and shelter. These kids are full of life and hope and energy. With your help, they can get a crucial education and begin to pull their families and communities out of poverty. They can’t do it without us. Donate Now.